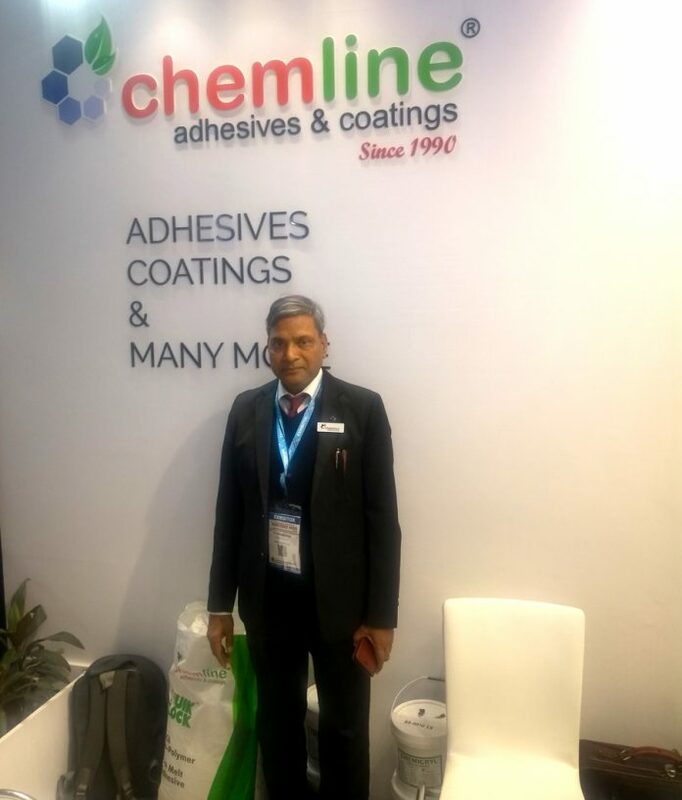 Ravinder N. Goel, managing director of Chemline at Printpack 2019. Chemline, the manufacturer of a range of adhesives and coatings for paper, packaging and converting industry was established in 1990. The Chemline stand received heavy footfall with relevant and business-focused customers from India and overseas. Ravinder N Goel, managing director of Chemline believes that the Indian printing and packaging industry is transforming and rigid packaging is gaining momentum. He believes that the demand for jelly glue is going up for rigid packaging applications. “People in India import Chinese products and sell it in the Indian market instead of manufacturing in the country. Chemline is the only company in India that manufacturers jelly glue. We focus jelly glue because we understand that in times to come, jelly glue consumption in rigid packaging is going to rise,” Goel says. The company also launched water based heat seal coating for aluminium to aluminium foil bonding that is typically used in tobacco and pharmaceutical industry. “Currently, pharmaceutical industry is using solvent based glues for aluminium to aluminium foil bonding. However, I am sure that that water based heat seal coating will replace solvent based products in the market rendering an eco-friendly solution in the market,” Goel explains.